If you’re a certain kind of writer, you’re constantly dealing with the temptation to include real men and women in your work. I’m not talking about using the people in your personal life as the inspiration for particular characters—which I’m pretty sure all writers have done—but about incorporating public figures under their real names. It’s a tendency you often see in suspense fiction, an inherently unrealistic genre that nonetheless strives for verisimilitude wherever it can, which often involves a bit of judicious trickery. Just as the detailed description of actual hardware, tradecraft, and weaponry lends a spy thriller a veneer of authenticity that can carry the reader over its less plausible elements, populating the story with names the reader will recognize can contribute, at least in theory, to the illusion that these events have actually taken place. Frederick Forsyth, my own favorite suspense novelist, does this almost to a fault: the Nazi hunter Simon Weisenthal plays an important role in The Odessa File, as does the historical SS officer Eduard Roschmann, and in the later novels, Margaret Thatcher practically deserves separate billing. In the course of putting together this attempt, there was many a choice to make on one’s approach to formal reality. The earliest and most serious decision was not to provide imaginary names for all the prominent people who entered the work. After all, that rejected approach would have left one with such barbarisms as James Fitzpatrick Fennerly, youngest man ever elected President of the United States. Mailer goes on to note that using fake names might even give the novel an air of authenticity that it doesn’t otherwise deserve. As roman à clef novelists like Jacqueline Susann and Harold Robbins know, when you transparently base a character on a real person but change the name, it often creates the impression that the author is privy to inside information, and that we’re seeing the real, unexpurgated story under a superficial veil of fiction. Giving a real name allows the reader to draw his or her own conclusions: instead of thinking that we’ll find out what made Howard Hunt really tick, we can object that this isn’t our idea of Howard Hunt at all. In my own fiction, which is often inspired by real events and public figures, I’ve gone back and forth on which approach to take. Vladimir Putin, for instance, never appears in the flesh, but he’s often mentioned under his real name, and I didn’t see any way around this: these novels take place at a particular historical moment, and if I was going to write about modern Russia at all, it was impossible to do so without factoring Putin into the equation. I followed this rule whenever I was writing about easily verifiable events—like the London riots that play an important part in Eternal Empire—or when it didn’t seem harmful to call people by their proper names. I drew the line, however, at players with a direct role in the story: I didn’t fell comfortable putting words into the mouth of a real person, even if the odds of his ever reading the novel seemed remote. 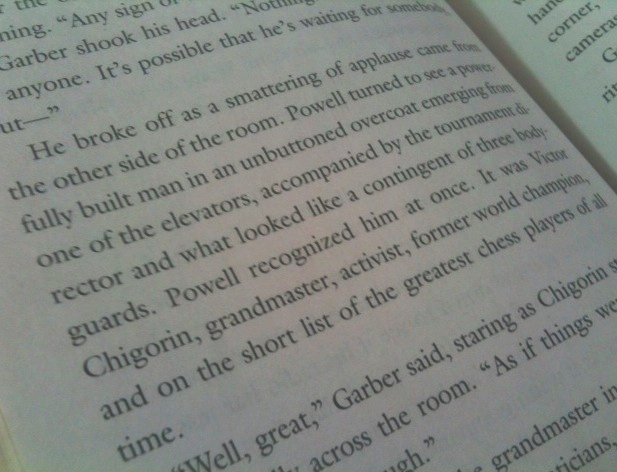 The one exception, which I considered for a long time, was making Garry Kasparov a character in City of Exiles. 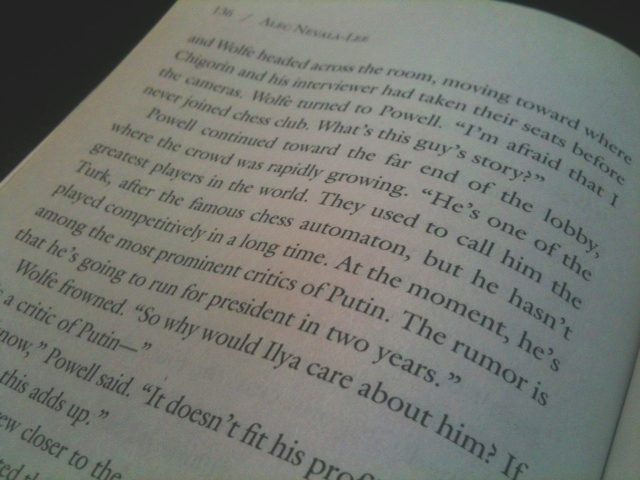 I’ve always been fascinated by Kasparov, both in his role as a chess grandmaster and as an unlikely opponent of Putin, and I knew early on that the novel’s plot would need to include either Kasparov himself or an obvious surrogate.